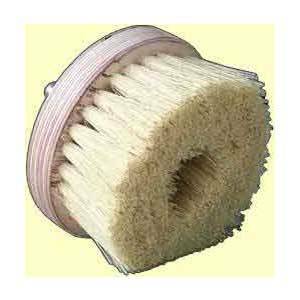 The Lustersheen Wax Hand Brush has been designed specifically for buffing furniture waxes. The Lustersheen Hand Brushes are filled, stuffed, with a Tampico bristle with 20 % denser fill than most, on a hard wood block shaped to fit the hand comfortably. The Lustersheen Wax Hand Brush has been designed specifically for buffing furniture waxes. The Lustersheen Hand Brushes are filled, stuffed, with a Tampico bristle with 20 % denser fill than most, on a hard wood block shaped to fit the hand comfortably. Similar to a shoe brush in appearance, except filled with a Tampico bristle that works extremely well on wood finishing waxes. 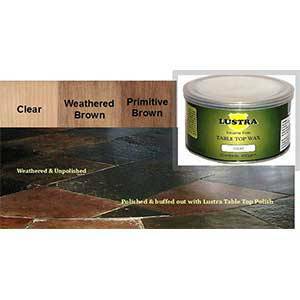 They work extremely well on the flat, and there is nothing better around carvings and moldings for buffing wax to a nice lustrous shine.